For the many people without dental insurance, there are sometimes affordable ways to get the needed work done. This is a guide about getting dental work done without insurance. Any advice on where to go or anything helps. Thanks. Look around and see if there are any dental schools near you. They generally offer discounted dental plans and are well supervised by dental instructors. Generally, only the advanced students at the end of their education near graduation are allowed to work on clients. Also, call your state dental association and ask if there is a dentist near you that has a budget plan. You are eligible for Obama care with such a low income. Have you looked into that? Go and talk to some dentists. Many have plans to pay over time. Make teeth your first priority. Put a little money away each paycheck. Make sure you aren't making them worse, no sweets or soda. I am in need of dental work. I have crappy credit and no insurance. I need to have all of my top teeth pulled and get dentures. I fell on my face and knocked out a bunch of my teeth in front. I work with the public and need them fixed desperately. How can I get the work I need done? In many places, schools of dentistry will accept patients for their training and at steep discounts. Don't worry that they are students, all work is supervised by licensed dentists. Worth investigating. I need urgent dental care. I have no insurance, no income, am disabled, and deaf, but can't get Social Security. Where do I go? SSI and SSD take up to 3 years so if you have not signed up, please do, but don't wait for help. Ask your local hospital if they have emergency services as they can often tell you where to search if they can't help. Poor dental health can reach critical mass if you let it affect your heart and other systems. Sad to say it can affect almost every system we have so please, if you have to get on or ask someone to get you on FB and make a plea for donations. We bailed out every bank in 2009 why can't we help each other? I have periodontal disease but no insurance. I have had it for a while. I have had two gum surgeries in the past. I haven't seen a dentist in about five years after losing my job. I lost my insurance and have not been able to afford to buy insurance. And my gums have progressed with deep pockets, spaces developed between my teeth and gums. I have loose teeth and need at least 2 teeth to be extracted now. I have puffy, swollen, and bleeding gums. I am in pain and eating soft food. I don't want to lose all of my teeth. I am only 53 and devastated right now. On February 25, 2014 I went to Baylor College of Dentistry in Dallas, TX, and I was advised that in order for them to accept me as a student patient I would have to allow them to do dentures. I am not ready for that yet. Can someone help me with other options? I live in Dallas, Texas. Where can I find a free dental clinic to accept me with no insurance? My tooth hurts very badly. I have been to a dentist and he said I need a root canal, but I don't have insurance because I do not work. I came into the USA last year in December, so I don't have a job yet. What can I do to get a root canal without insurance? You could call local dentists and ask if they offer a payment plan. Or, search if there are any local organizations that offer free or little cost for you so students could practice. I need a tooth pulled immediately, but I do not have Medicaid or insurance coverage what are my options? Call around and see if you can find a dentist that will let you make payments. Also, if there is a dental school in your area, they might pull the tooth, but where I live, the dental students only clean and examine the teeth. Some communities have community health clinics that have a dental office combined with the medical aspect, and the fees are figured on a pro-rated system. Most areas have dental clinics for very cheap for people in your situation. They don't do the very best job, but you get what you pay for I guess. Also, your local community college & university should have dental students in school and do basic dental tasks for free when they are in the process of learning. They are supervised by the teacher, so you will be fine. Call the county health department. Where I live the Health Dept referred me to another county department that gives vouchers to have a tooth extracted. Call around to dental 'clinics' in your area. There are two dental clinics in my area and one of them pulls a tooth for free. If you aren't sure how to find them just call your local Department of Human Services and they will tell you where they are. I am in need of dental work, wisdom teeth removal. I am 52 yrs old, I do not qualify for medicaid, and can not afford dental insurance. Does anyone have any suggestions for finding affordable dental work? Are you anywhere near a university with a dental school? Dental students need patients to work on and the cost is much lower than on the outside. Where I live they did a free dental day. People are in such need of help that they camped out the night before because it was first come, first serve. Doctors donated their time. They had so many more people than they ever imagined would show. You might check in your city and see if they have such a day. I need dental work. I'm on Social Security and can not afford losing my teeth. I have 5 broken/missing and some cavity pain. I am in need of periodontal work and have no insurance. Where is the most inexpensive place to get it done? If there are no dental schools in your area, call the Department of Social Services. and see if there are any dental clinics in your area that charge you for dental work according to your income. Where can I find dental care in/around Nashville, Tennessee area for low income patients with no insurance? I would look in the phone book, also contact your county welfare department, they might help with that or have an idea where to refer you. If they can help you financially they will need proof of income. If you have a dental school in the area check with them. However, some dental schools will only do exams and cleaning. Most places that help with things like this will want proof of income and what you consider to be low income and you might not meet the income guidelines. I go to Aspen Dental here in Washington State and they are wonderful. 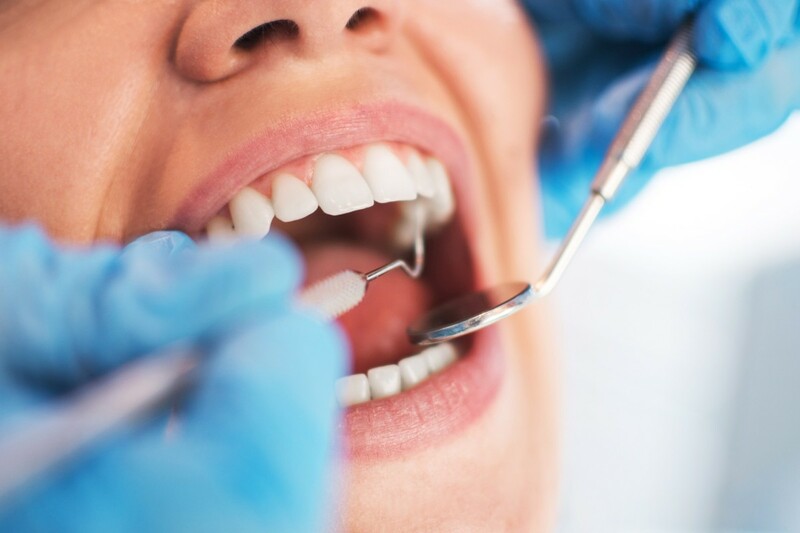 There are four locations in the Nashville area and since you don't have dental insurance your initial exam, xrays and consultation are free and they will work with you on a sliding wage scale. Google Aspen Dental with the area you're most interested in for the phone number to make an appointment. I'm in desperate need of help. I'm only 41yrs old, I'm on disability for severe fibromyalgia and I have an autoimmune disease, Shogrens Syndrome that deteriorates my teeth. I haven't had the money to go to the dentist regularly and I'm terrified I'm going to need dentures at 50. I've been researching online, but I can only find clinics that will do just preventive work. I needs implants, bridges, etc. I could put a dentist's kid in college for what I need done. I'm scared and just need some good advise. I am 19, have no dental insurance, no credit, and am on my own. I earn less than $600 a month in income and I am in some major pain. I live near Destin, Florida. Where can I find some help? When I was in your situation (many years ago), I was able to get help from my mom. Is that possible, even though you don't want to ask? Second, in my area, we have a dental school, where the public can sign up to get treatment. It's either free or cheap, since you'd be treated by a student. But the care is pretty good. But you would go on a waiting list, so not really the answer for an emergency situation. Third is to ask a dentist if you can sign up to pay a monthly fee for the bill (if your credit score is good). Fourth, can you borrow from friends or anyone else, if you don't have relatives to help? Fifth, is it possible to get a second job to get the $ to pay for the dental bill? Temporary work, seasonal work? Sixth, is it possible for you to get a job that pays more? Seventh, with Obamacare, is it possible you'll get a subsidy? If you are in a state with expanded Medicaid. If so, you can buy dental insurance, starting 1/1/14. No matter what happens with your teeth, I hope you find a way to learn a skill to get paid more, or you will face this problem repeatedly throughout your life. If you get a skilled permanent, full-time job, you may be able to buy cheap dental insurance and get health ins. paid for by your employer. You also need to set aside a few dollars here and there (no buying Christmas gifts until you do! ), to establish an emergency fund for things like this. Hi Angela, I live just above the bay from you, in Walton County. I found some info. for you, hope and pray it helps and you find relief. upon need and funds availability. counties through creative collaborative partnerships. I need teeth pulled, a root canal, and my partial fixed. You can go to a clinic and they should have a sliding fee price list. Which most often will be $20 per visit here where I live. I just got partials top and bottom, but I have medicaid. I am in desperate need for dental work. I am constantly sick with nausea and pain from my teeth not to mention I have lost my smile. I am 39 and all my teeth need to go they are in such bad shape. I have no insurance and I also separated from my husband of over 23 years due to an abusive situation. I have no income and have no where to turn. I am in Kentucky. Any suggestions? I was 43 when I finally got dentures, and that was after my divorce became final and I got 3/4 of the profit from selling our house. I had been having toothaches, and teeth breaking off for about 15 years. My husband at the time had a really good job, and I was a stay at home Mom, doing a little daycare in our home. Any extra money we had went to buy guns, hunting trips, fishing trips, etc. After the divorce I did get a job, cleaning motel rooms without teeth. I don't think there is anyplace where a person can get free dental work. If there is a dental school near you check with them, some dental schools do actual dental work on patients, and some don't. Where I live the only things the dental schools do is exams and cleaning. I have no dental insurance, but I am in desperate need of free or low income dental care in the Laurel, MD area. Please point in the right direction. I need to have what's left of my teeth pulled and then be fitted for dentures, but I'm on a low, fixed income. Where can I find information about this in Washington? I have no insurance. This site lists 437 free, low-cost or sliding scale clinics in Washington. It shows eligibility and details. The towns are listed in alphabetical order. For other state listings, just change the last two letters at the end of the web address to your state letters to get your states list. I am a senior citizen in need of dental work, but I have no insurance. I would appreciate suggestions very much. Thank you. Praying for You to get the help you need. I myself don't need dental work, but my family and I are in serious need of information on how to get dental work done for my father. My father is a disabled man who is 44 years old. He receives Social Security disability (not SSI). He also receives Medicare, but as you know Medicare does not cover dental. Our local DHHS will not give him Medicaid because they say his income is too high. Here is the list of things my father has gone through in the past few years. 3 years ago he had a massive stroke, blood vessel in brain burst, the doctors say he is lucky to be alive. The stroke caused serious complications including learning how to eat, walk, talk, etc. He also has seizures from time to time, both gran mal and petit mal seizures. He suffers from serious rheumatoid arthritis, he is losing weight and bone mass as we speak. He hasn't had a solid meal in 3 years. He is on an all liquid diet. In the past he has had multiple blood clots, caused from a blood disease. He is on all types of medications for these problems (too many to talk about) way too many. 3 years ago his teeth started rotting out causing a very bad infection which he has had now for years. It won't go away because he needs serious help. He is in so much pain that it takes everything in him to get out of bed. I'd say he is 80% bed ridden. As of now he has 2 teeth left with a bad infection. Now we have all learned that tooth infection can cause serious damage. He is a stroke survivor with many other issues. He needs dental surgery ASAP. Of course he can't afford his own dental insurance and the new affordable dental care program won't take him because he needs this dental work done in a surgical room. We have been told it needs to be done at U of M Hospital. This is a medical necessity! For 3 years now we all have struggled to get him back to where he needs to be. No one will give us answers or even try to help. We've been told in order for him to get Medicaid he needs to take away Medicare, but if he does that then he still makes too much money for Medicaid. If he can't afford to live then why would we do that? Any answers or information or anything would he greatly appreciated. Thank you in advanced. God Bless. I am on SSI and have dental coverage, but it will not pay for partials. I have all my front teeth in fair condition. I only have 2 back teeth and need partials to eat. I cannot pay very much. My income is very low. Can you offer suggestions please? Delta Dental Insurance is offered by AARP ... I pay a monthly fee for my dental coverage which takes care of $1,000 of dental work a year. The dental insurance with them runs me about $16 a week which equals $64 a month. To me they are a God send as I am on SSDI myself, hope this helps! Where in Fresno California could I get help on pulling a tooth? I am on disabiity and do not have dental insurance. My supplemental health insurance and Medicare do not cover my dental! Money is tight so I need something affordable. Thanks. My brother is in a care facility and is in need of a root canal. He has SS, Medicaid, and Medicare. How or can he get help with the cost?